Top Quality headstock decals for all your guitar restorations. Comes with luthier fitting instruction for a professional finish. 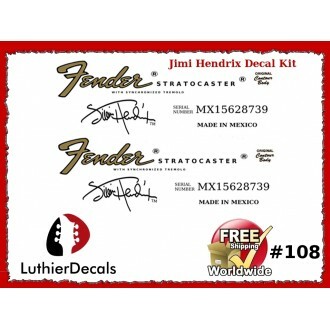 Fender Decals for your Guitar Restoration projects.